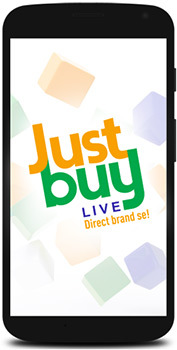 Just Buy Live Enterprise Pvt. Ltd, an e-distributor that connects shopkeepers with consumer brands and distributors, is firming up plans to raise its second round of growth capital to enhance market presence, a top executive told VCCircle. The PE-backed company, which is present in Mumbai and National Capital Region, would roll out operation in other geographies such as Gujarat, Rajasthan, Madhya Pradesh and Chhattisgarh after the fundraise as well as invest a part of the proceeds in the technology platform and open distribution centres, chairman and CEO Sahil Sani said. The one-year-old company is seeking to raise $30-50 million and is planning to hire an investment banker to tap financial and strategic investors such as a technology company with enterprise data capabilities or logistics distribution firms, Sani said. The company raised $20 million (around Rs 136 crore) in Series A funding from Alpha Capital in January 2016. Sani said since the company aggregates and acts as a distributor across multiple categories by taking orders digitally, it would tap states that are considered tech-savvy. It has three distribution centres in the two locations it currently operates, and plans to open distribution centres in the new locations and where brand penetration is lower, he said. Launched in 2016, the company follows a brand-to-retail business model (B2R) that caters to retailers by enabling them to buy goods directly from brands, while offering more savings through schemes and deals in real time. It has aggregated brands such Apple, Xiaomi, Samsung, Micromax, YU Mobiles, Oppo, Patanjali, ITC, P&G, Unilever, Coca Cola, Pepsico, Amul and NestlÃ© on a single platform for the retailers to place order directly. Just Buy's app is used by 60,000 retail outlets such as paanwallas and kiranas to supermarkets, chemists, mobile stores and electronic shops. The app hosts over 500,000 products from 2,600 brands across categories such as foods, drinks, personal care, auto, mobile, tech, home, fashion, toys, sports, stationery and others. The company has also partnered with Religare Finvest Ltd to offer line of credit for Rs 40 crore to over 1,500 retailers for 30 days. It earns a fee from the brands it has partnered with and gets 5-20% of order value as income, he said. On an average, it spends Rs 300 as on-boarding cost per retailer and acquires around 500 small businesses a day, Sani added. Its average order size is Rs 15,000. It made 15,000 shipments in July and 25,000 in August. It is growing its run rate by 20% month on month, he said. The company was founded and majority owned by Sani and Bharat Balachandran. Sani, who is also chairman of Sahil International (channel partner to global audio and infotainment giant Harman International), had seed-funded Just Buy Live by investing $5 million in his personal capacity. Prior to co-founding the startup, Balachandran was involved in the distribution of BFSI products with Focus Consultancy and Services Pvt. Ltd.